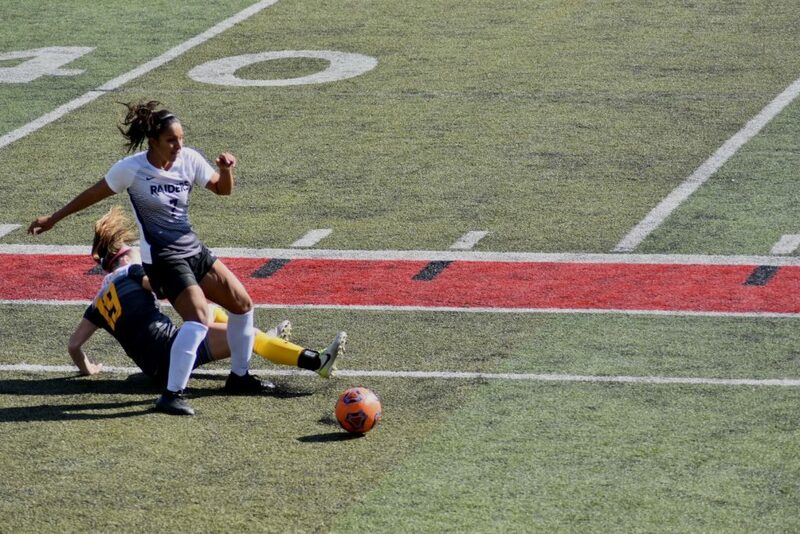 The Women’s Soccer Team faced the Northwest Christian Beacons, with the game going into overtime and ending with a tied score of 1-1 on Saturday. The game had previously been scheduled for Friday before, but due to air conditions in the valley the game moved to Saturday, resulting in their Saturday game being pushed back to Sunday. Even with the rescheduling, Head Coach Jenni Rosenburg explained that she was unworried. The game started off well, with Captains Makena Totushek and Maddy Spangler leading the Raider team. They started off strong, taking their first corner just before the nine-minute mark, where Kiani Pandoliano took a shot and went wide. They earned their second corner five minutes later when Totushek took it once again, and got two shots on goal– both blocked by the Northwest goalkeeper. They got their next shot at the twenty-six-minute mark with Pandoliano once again taking it and missing by a hair. Two consecutive shots by Misty Martinez and Kaya Baird came at the thirty-five-minute mark, both of which were deflected by the Northwest goalkeeper. 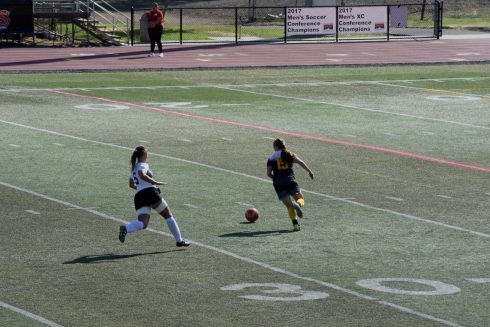 The Raiders finally scored at the thirty-seven-minute mark when Misty Martinez, assisted by Maddie Casey, scored with a clean shot into the back of the net– allowing the Raiders to take the lead in the game. 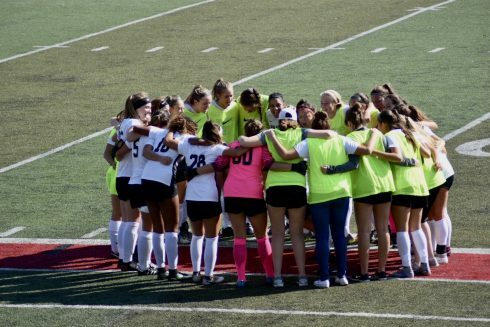 When half-time came, the Raiders had taken a total of ten shots on goal to Northwest’s single shot, and had the lead in the game with forty-five minutes remaining. The second half started hard, with both teams coming right out of the gate and taking multiple shots on each other’s goals within the first ten minutes of the half. SOU fouled the Beacons causing a free ball from the twenty yard line. Sierra Coloma took it, scoring a goal over the keepers head and tying the score at 1-1. Even with multiple shots from both teams neither managed to score again in the second half, sending the game into overtime. 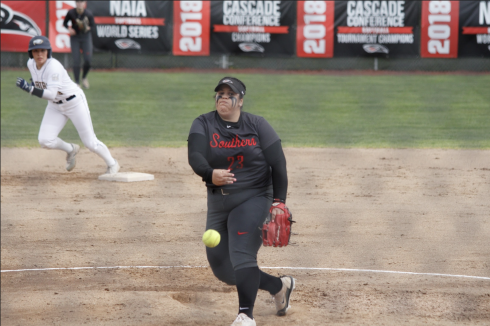 In the first ten-minute over time half SOU had a solid chance at scoring when Totushek took a corner, but the shot by Aislinn Waite was blocked by the goalkeeper, keeping the score tied as they went into the second half of overtime. 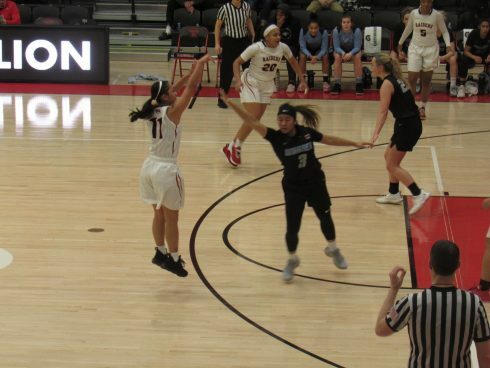 The only shot in the second overtime half was by Pandoliano, who dribbled a good half of the field and got around multiple defenders, only to barely miss the shot. “We made [the game] hard on ourselves,” said Rosenburg after the game. “We didn’t organize ourselves fast enough [and] we didn’t move the ball quick enough.” With this in mind, she plans to work on these things during this week’s practice. “We’ll come back and we’ll revisit it, and we’ll work on it again,” she said.